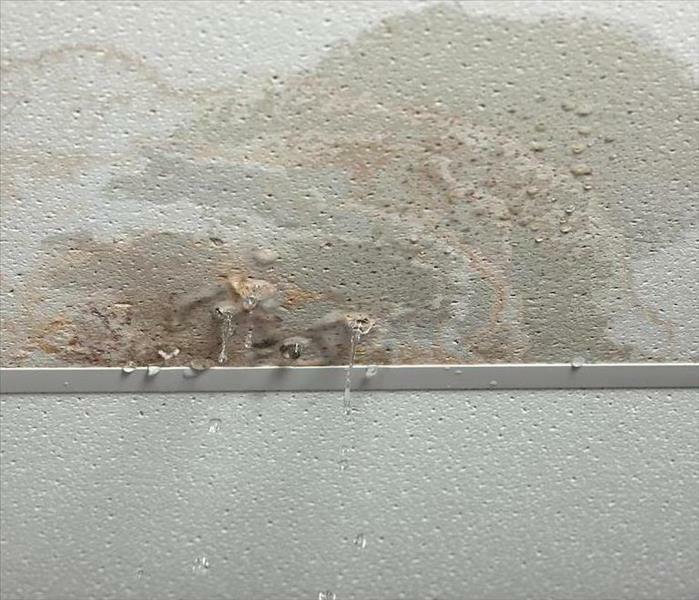 Don't let water damage check into your hotel. Call SERVPRO of Garfield and Pitkin Counties. Water can pool in a hotel due to several reasons, including overflowing bathtubs and sinks, leaky pipes and AC water overflow. No matter how minor a hotel water damage incident is, taking care of it soon is vital. Water may ruin tile, hardwood and carpet flooring, and the wood sub-floor beneath the carpeting. It can also make its way into other surfaces and areas like ceilings. If the floor above gets flooded, the ceiling of the room below can sustain damage. Water can also ruin electrical wiring, furniture, artwork, and antiques. If left unrepaired, even a seemingly insignificant mishap can weaken the building, lower its value, ruin your business reputation and interrupt regular operations. You, therefore, need prompt commercial water removal services for your Glenwood Springs hotel. To deal with water loss in your hotel, call the professional team at SERVPRO. Our technicians respond to calls quickly and have the industrial equipment, and experience to solve water issues. We are ready to deal with any water loss at any time of the day or night. When we arrive at a water-damaged property, we inspect all the aspects of the damaged areas and begin mitigating the loss. SERVPRO technicians can use truck mounted vacuums to extract water from flooring, walls, and ceilings. We also use a moisture meter to determine the amount of water that has penetrated floors, walls, carpets, and ceilings. We move and block furniture as necessary and remove water from carpeting and hard surface flooring. Our technicians also detach carpets and extract water from the floor and pad. We remove the pad from the structure and discard it in most cases. We also use a combination of dehumidifiers, high capacity air movers and dryers to dry out a structure. We use the appropriate number of dehumidifiers and air movers based on IICRC recommendations. Our technicians also offer odor removal services with sophisticated equipment that reaches beyond surfaces and into the building. If water has pooled in your hotel, SERVPRO of Garfield & Pitkin Counties can assist you to extract it. We can dry the affected areas and eliminate any potentially hazardous contaminants. We’re Faster to Any Size Disaster. Contact us at (970) 618-1516 for water extraction services in Glenwood Springs, Silt and New Castle. Read more about Glenwood Springs here. Fires that start in the kitchen can leave horrible odors. 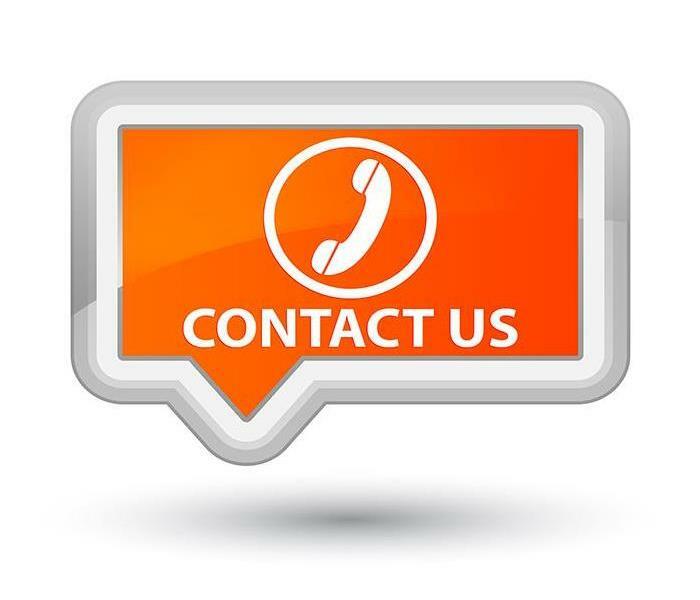 Our team is experience and has the right equipment to fully restore your home. 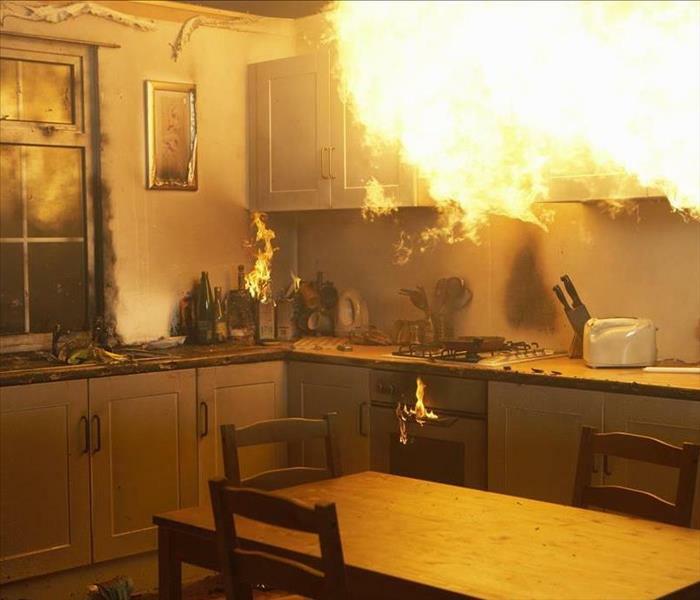 According to the U.S. Fire Administration, 50.3% of fires in residential buildings were caused by cooking. 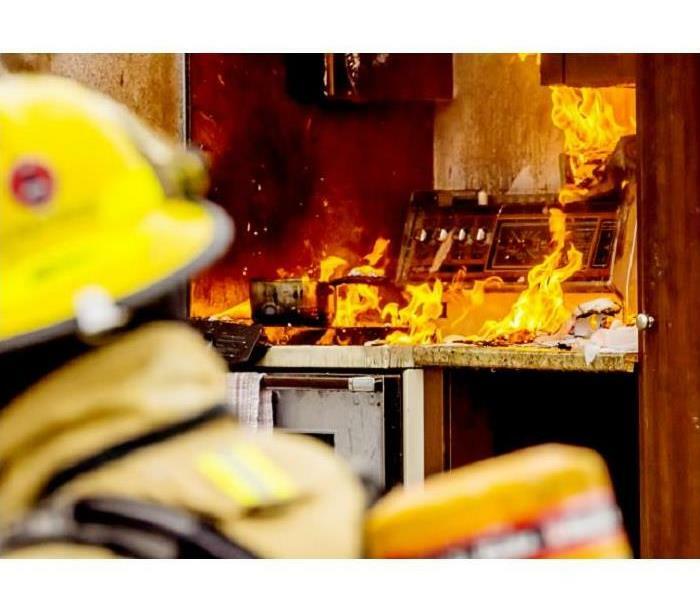 This type of fire damage is often referred to in our industry as a protein fire because it comes from burning food which can leave pungent, hard-to-remove odors in the home. Mitigating both foul odors and fire damage in Glenwood Springs homes requires the application of several specialized techniques. While protein fires often leave little in the way of residues, the smell is usually stronger than other types of fire odor. Additionally, due to the high heat, the scent tends to permeate furnishings and porous items easily and remains until neutralized. After accessing the area affected by the protein fire, SERVPRO technicians determine if containment is necessary and ascertain the area is dry. If needed, technicians perform water extraction, and air movers are deployed to thoroughly dry without spreading odor-causing particles to other areas of the home. Technicians work on cleaning residue from affected surfaces using professional-strength cleaning solutions and wet and dry sponges as necessary on surfaces and affected objects to remove any remaining residual smoke and soot residues and eliminate some of the odor caused by the fire damage. The Odor Control Technician (OCT) has numerous resources to use for effective odor removal after a protein fire. Due to the nature of fire odors, the removal of the pungent scents can be a multi-layered process. Air scrubbers fitted with activated charcoal filters pull odor-causing motes from the air that cannot be seen with the naked human eye. The air ducts are cleaned, and the HVAC filter changed to eliminate any odors that traveled from the original fire damaged area. Another effective method of odor neutralization is the application of thermal fogging. Our OCT uses a handheld machine to deliver a heated fog of odor-neutralizing solvent. The fog works in the same manner as smoke to penetrate and overtake odors deeply embedded in porous objects removing all traces of the protein fire. Fire odors can linger until all traces of the fire damage is removed from the home. SERVPRO of Garfield & Pitkin Counties has technicians available to assist you 24/7 to get rid of all traces of the fire at your home. Call (970) 618-1516 today to get started. Click here for a list of things to do in Glenwood in the Spring time. From weekly services to weddings and special events, your chapel receives many visitors and foot traffic throughout the year. Keeping up with the needs of the building can be challenging without the time to accurately assess wear and tear, or potential vulnerabilities on your own. While our team can help with honest evaluations, often this is a process that is only thought of after disasters and damages have already occurred. Among the most easily missed and highly destructive of these situations is mold growth. There are many reasons that mold damage in New Castle must get addressed quickly and professionally. Among the chief of these would be the potential health effects for those exposed to active and growing colonies throughout the property. To keep your congregation and leaders safe from these possible risks, you should reach out to our SERVPRO remediation specialists. We can help you remove these organisms from the property and return things to pre-mold conditions. Another potential problem that results from allowing mold growth to continue in your church or commercial structure without resistance is the effect that the organism has on the construction materials and contents used to support the colonies. 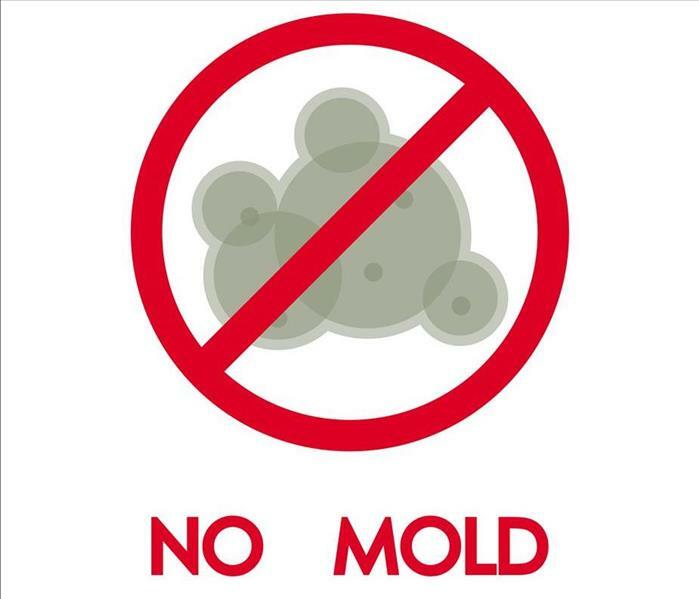 A colony requires an organic material for hosting, and it becomes a food source for growth and spread of the mold throughout the affected areas and beyond. Our SERVPRO team can respond quickly at the discovery of mold to establish containment barriers using plastic sheeting and negative air pressure devices. We then work to treat the affected materials with the mindset of preservation over reconstruction. If we can protect and restore a damaged element, this happens instead of needlessly tearing out materials and replacing them later on. 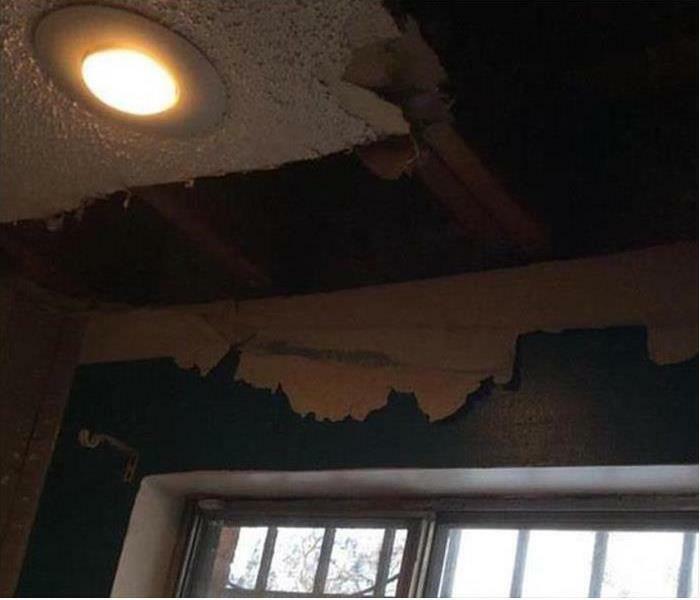 Porous materials like sheetrock and fabrics are more susceptible to becoming non-salvageable. 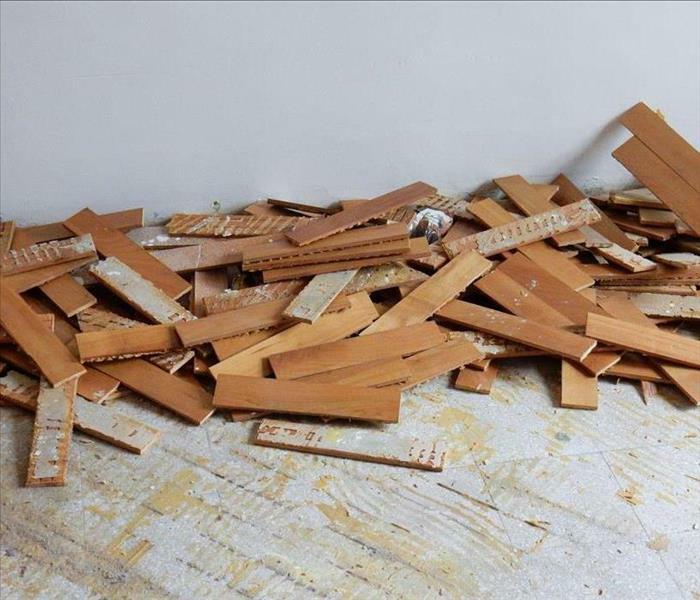 Our SERVPRO of Garfield & Pitkin Counties remediation specialists can help to remove the active colonies quickly and return your structure quickly. 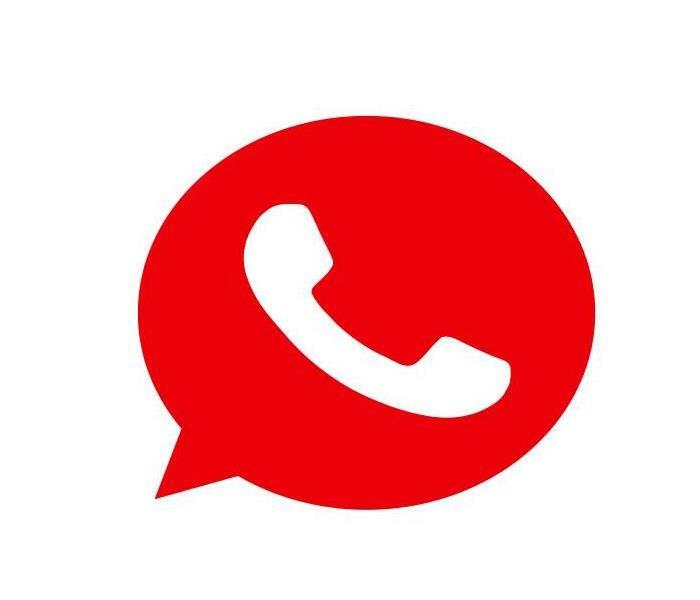 Give us a call anytime at (970) 618-1516. 2/5/2019 - Is a Fire Cooking in Your Rifle Kitchen?